John Matthew "Matt" Stover (born January 27, 1968) is a former American Football placekicker. As of the start of the 2009 NFL season, he was the third most accurate kicker in the history of the National Football League. He has played for the New York Giants, the Cleveland Browns, and the Baltimore Ravens, with whom he played for 13 seasons. He was signed by the Indianapolis Colts in October 2009 to replace injured kicker Adam Vinatieri. Stover attended Lake Highlands High School in Dallas, Texas (Class of 1986), the alma mater of fellow NFL placekicker Phil Dawson. Stover won All-District honors as both a wide receiver and kicker. During the 1985-86 LHHS season he kicked a 53-yard field goal. 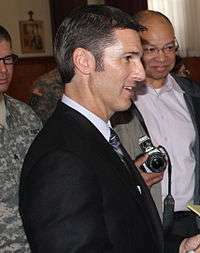 Prior to his NFL career, Stover attended Louisiana Tech University, where he was an active member of the Alpha Omega chapter of Delta Kappa Epsilon acting as vice president. He graduated with a degree in marketing. During his college career, Stover successfully converted on 64 of 88 field goal attempts. As a sophomore, facing Texas A&M, he kicked a 57-yard field goal, then a school record. He also punted as a senior, punting 36 times for 1,277 yards (34.1 yards per punt avg). He left Louisiana Tech with 262 career total points and seven field goals of 50 yards or more. While at La Tech, Stover would usually kick the ball through the goal posts on the first kickoff of the game. Stover currently holds the NCAA record for most punts in a single game at 16 against Louisiana-Monroe November 18, 1988. Stover remained kicking with the Ravens, setting several records and kicking 18 game-winning field goals. In 2008, Stover booted a 43-yard field goal to win against the Tennessee Titans in the AFC Divisional Round. That was Stover's last field goal as a Raven. The Ravens decided not to re-sign Stover following the 2008 season. On Nov 20, 2011, Stover was inducted into the Ravens Ring of Honor, during a halftime ceremony at M&T Bank Stadium against the Cincinnati Bengals. As a free agent following 2008, Stover signed with the Indianapolis Colts in the middle of the 2009 NFL season to replace the injured Adam Vinatieri. In Indianapolis, Stover played in two wins against the Ravens, and helped the Colts to an appearance in Super Bowl XLIV, at age 42, which made Stover the oldest player in Super Bowl history. However, he was not re-signed. Matt has son who attends Loyola University named Jacob, and plays lacrosse. Also, Jacob`s good friend named Chris Myers was the elite 90 winner, and also a player for Loyola. 1 2 "Former Ravens kicker Matt Stover to retire". USA Today. May 25, 2011. Retrieved 2011-09-02. 1 2 3 4 What Kicker Holds the Record for Most Consecutive Extra Points Made? ↑ Reiss, Mike (30 January 2010). "Vinatieri's shot at fifth ring bittersweet". ESPN. Retrieved 8 February 2010.